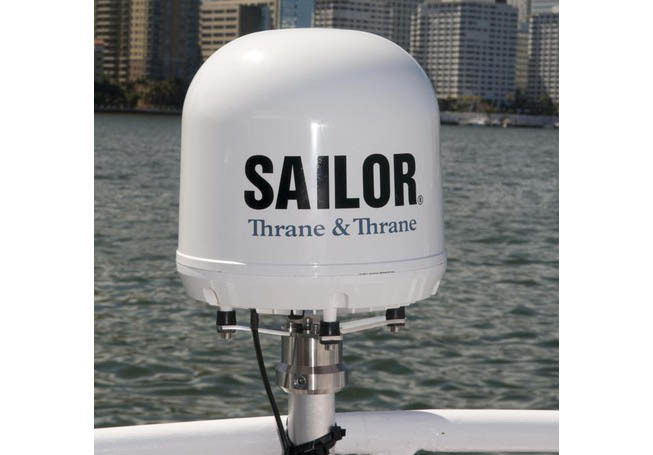 With a small antenna, weighing just 3.9kg, SAILOR 150 FleetBroadband is the most lightweight, compact and easy to install FleetBroadband system available. Get reliable, high quality global internet and voice on any kind of boat or ship. Email, web browsing, even custom IP solutions; SAILOR 150 FleetBroadband opens up a world of communication. 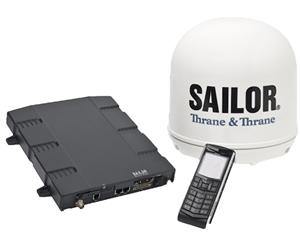 SAILOR 150 FleetBroadband is an affordable, high quality single-user solution that offers reliable IP internet, data & voice for business, operational or recreational applications. Fulfill reporting requirements, diagnose faults or simply browse the web whilst passage making. SAILOR 150 FleetBroadband offers the flexibility, affordability and reliability to do it all. SAILOR 150 FleetBroadband is based on the same design values and high quality build as the market leading premium SAILOR FleetBroadband solutions. It is a rugged, unit, made specifically for use at sea. Whether cruising the Caribbean, sailing global shipping routes or fishing offshore, you can experience the reliability and ease of use that high-end SAILOR systems offer in a small, affordable package. With an intuitive user interface, 2.2” TFT colour screen and state-of-the-art echo canceller and noise suppression, the Thrane IP Handset offers excellent operation and call clarity. Integrate our sophisticated handset with SAILOR 150 FleetBroadband for high quality global voice calling whilst simultaneously using the system’s data functionality, from anywhere in the world.